All summer camps sesssions are currently filled. You may register for workshops and waitlists through the link below. 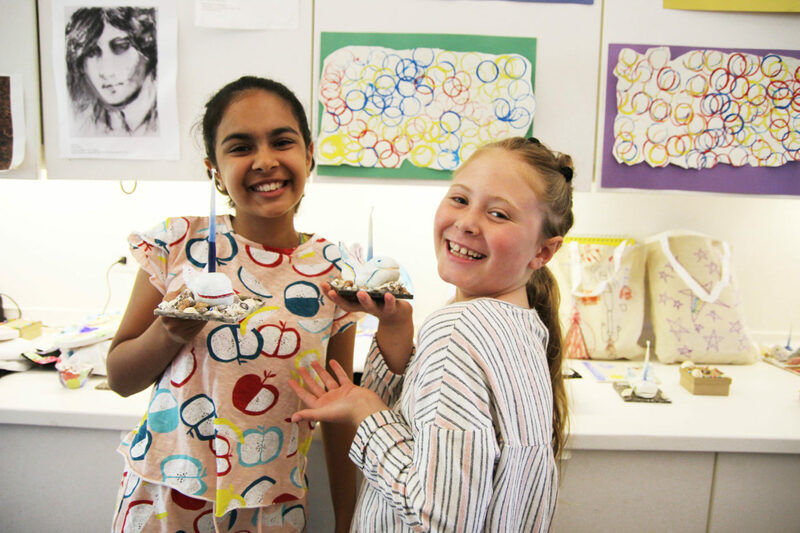 Summer Art Camps and Workshops provide the opportunity for children to learn, experiment, and create in the visual arts. During these weeks, participants study the art in the galleries, learn techniques, and create a variety of mixed media including painting, drawing, sculpture, printmaking, collage, and more. Refunds will be provided before May 1, less a $150 fee, which will be charged for all cancellations. No refunds will be given after May 1. The Parrish is not responsible for providing refunds for classes missed as a result of student illness, student emergencies, or events beyond our control. The Museum reserves the right to cancel any class which does not meet minimum enrollment requirements.